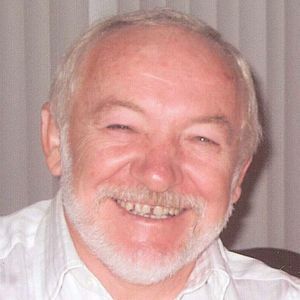 KUBIAK, JACEK, 69, of North Cape May, NJ, passed away on Saturday, February 16, 2019. Born in Poznan, Poland to the late Michal and Jozefa Pawelczyk Kubiak, he moved to North Cape May in 1980 after living in Rio Grande and Woodbine. He attended the Parish of St. John Neumann at St. John of God Church. He was a commercial fisherman and taught many people how to swim, but most of all, was the nicest human being you would ever meet. Jacek is survived by his wife, Bozena Czesz Kubiak; his daughter, Eva Wojtus; his step daughter, Dagmara Barecka; his brothers, George in Poland, Antoni (Mariola) in Clermont, NJ, Marian (his twin) in Poland, and Maciej in Poland; and his four grandchildren. Funeral Mass will be said on Friday, February 22, 2019 at 11:00 am at the Parish of St. John Neumann at St. John of God Church, 680 Town Bank Road, North Cape May, NJ. Viewing will be held on Friday from 9:00 to 10:00 am at the Radzieta Funeral Home, 9 Hand Avenue, Cape May Court House. Interment in Resurrection Cemetery will be private. The beautiful and interactive Eternal Tribute tells Jacek's life story the way it deserves to be told in words, pictures and video. We are so Sorry for your loss. Jacek was a great guy and will be missed. We will keep him in our prayers.